An unusual sight greeted Heaton Park last weekend as a stampede of elephants, fun-runners dressed as elephants, took to Heaton Park last weekend to raise money for a charity that protects endangered species. 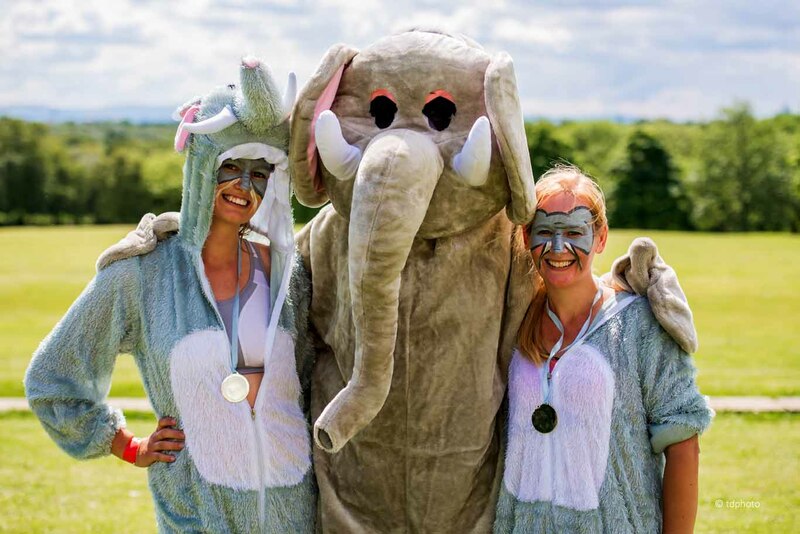 The Enormous Elephant Run saw a parade of ‘elephants’ taking on the 5k and 10k challenge, raising money for the David Sheldrick Wildlife Trust (DSWT) - a charity dedicated to the protection of wildlife and habitats in Kenya. Across Africa, one elephant is killed every 15 minutes for their tusks to fuel an increasing demand for ivory. “We wanted a new way for people to get engaged in our work and the plight of elephants,” said Amie Alden, the DSWT’s Fundraising Officer and the race’s organizer. All the funds raised from the event go directly to the DSWT and help aid its mission. There are currently 78 elephants in the trust’s care at their orphanage and three Reintegration Centres in Kenya. To date, the DSWT has also successfully rescued and reintegrated 95 orphan elephants back into the wild. For anyone that missed the Run, Alden adds, the charity has plenty more suits for anyone who wants to take on a fundraising challenge for Africa’s elephants dressed as a member of the species!